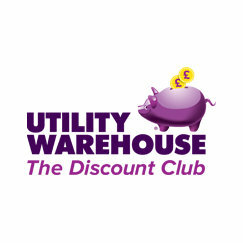 Utility Warehouse offers a range of services, including gas & electricity, phone & broadband, and mobile. Their bundled services offer the most value. I was comparing what I'm paying to TalkTalk and this provider stood out for being so expensive! I pay TalkTalk £23.75 a month for unlimited broadband and unlimited calls from my landline to UK landlines and mobiles. I would give this company a miss!!!! Even BT are better and that's saying something. Terrible company, avoid at all costs. Avoid at all costs. Massive Ripoff and Nightmare Company!!!! We were conned into joining and leaving our really good service providers, given the wrong information and not a good service provided. We were conned into joining Utility warehouse being told that our bills with Utility Warehouse would be less than the service providers we were with then, in 2016. Based on that we joined in May 2016, only to see prices being increased less than a year of being with Utility Warehouse. DISHONESTY!!! DISHONESTY!!!! WE WILL NOT STAND IT!!!! We were told that if we find that any of the services are more expensive than our previous providers, we should let you know and something will be done about it. I did that when we found out that our electricity tariff, our broadband, line rental were more than our previous providers. I did complain about this and was told that all the services have to be more than our previous providers, not just a few, which is not what we were told before we joined or when we joined. This was misleading and very very dishonest of you. Taking us for a ride and ripping us off. We believe we were tricked and conned into joining selling us something that wasn't. IF IT SOUNDS TOO GOOD TO BE TRUE, THEN IT IS. THAT IS WHAT YOU ARE!!!!! I then had issues with your mobile data, where I was sent texts several times that I was about to run out of data, which had never happened with my previous provider, where I had the same amount of data, 2G!!!! I was forced to tether my phone to my work mobile data and turn off my mobile data so that I never went over 2G. I have never had to do this while with my previous provider. I complained and questioned this and I was told that there was nothing wrong. I knew there was something wrong surely. I am not damn. I got fed up of all this!!!!!!!!!! I then called to let you know that I was moving my mobile back to my previous provider, only to be told that I was going to be charged £112 for the LED bulbs. HOW?? HOW?? HOW?? HOW? THIS IS UTTER THEFT!!!!!! Apparently it's because I was moving one service away so I had to pay for the bulbs. REALLY!!! REALLY!!!!! Apparently, for us not to pay for the bulbs, we should keep all our services with utility warehouse for 4 years. WHAT!!!!???? WHAT???? WHAT??? ARE YOU SERIOUS!!!!! THIS IS WHAT THEY CALL CONNING PEOPLE AND TAKING PEOPLE FOR FOOLS. Do you honestly think we would have accepted those bulbs if we were told that we had to keep all our services with you for four years? FOUR YEARS!!!! We would never tie ourselves in a four year contract with a service provider, especially one we do not know about!!! FOUR YEARS??? ARE KIDDING ME?? YOU ARE THE WORST SERVICE PROVIDERS WE HAVE EVER MOVED TO AND FOREVER REGRET WHY WE EVER DID IT. WHY DID WE ALLOW OURSELVES TO BE DECEIVED BY YOU? So, we decided we are moving all our services from Utility Warehouse, because it became very clear to us that Utility Warehouse are there to rip people off and we wish we had read reviews before we were conned into joining. I then spoke to another person after that to let them know because of what were told the day before, we had decided to leave Utility Warehouse and then he says on top of the bulbs we have to pay a disconnection fee. FOR WHAT?? FOR WHAT?? I have never had to pay disconnection fee for anything telephone or wifi because we have moved providers. UTILITY WAREHOUSE ARE A MASSIVE RIPOFF AND DISHONEST AND JUST THERE TO GET MONEY FROM PEOPLE WHILE NOT PROVIDING GOOD SERVICES. We are writing to let you know, we have moved our services to other providers and we are not by any means going to pay for the bulbs. We do not have that money. You can come collect them, we still have the boxes and the bulbs are in their boxes when you come to collect them. Let us know what date and exact time you are coming to collect them so there is someone to hand them back to you. We are not paying no disconnection fees because we know that is a proper rip off and theft. We don't work hard only to give our hard earned cash to companies like yourselves that are there to rip people off. We have settled our final bill with you. I sent a complaint over a week ago, I have only received back and the guy is adamant, talking about terms and conditions. What terms and conditions? If they apply to us, they apply to you. You have got to provide a good service and not provide misleading information just so you get customers, which you have done to us. We have had enough stress with you. NEVER AGAIN, NEVER AGAIN!! BE WARNED PEOPLE, UTILITY WAREHOUSE IS A RIPOFF, TAKING ADVANTAGE OF CUSTOMERS!!!!! Very disappointed, angry, unhappy and stressed customers. We don't want anymore anymore stress. Compain to Ofcom and they'll log it but also tell you what to say in a letter. Worked with me when 02 tried to charge me £127! They wrote it off in the end. Hope everything is okay in the end. I am writing because there has been a bill generated for £1800 as Aprils bill from the utility warehouse that supply electric and gas. I was with Ovo and left them to change over to utility warehouse. The utility warehouse credited my bill with £1600 in December 2016 and said I was over charged with my electric supply. It’s been four months down the line and they contacted me to say the smart meters had a wrong reading which caused this to happen so why have I been caught up in their mistakes and are asking me to pay the money back to them. They’d made mistakes and expect the customers to pay for mistakes that they make. I made a complaint about this to utility warehouse saying it’s not fair why I should have pay any money back to them.